This week I am starting work on an illustration of a Roman signal tower. It will be part of Murray Dahm's article, "An Ancient Enigma—Solving the Secrets of Ancient Military Signaling" in Ancient Warfare Magazine Vol III, issue 6. 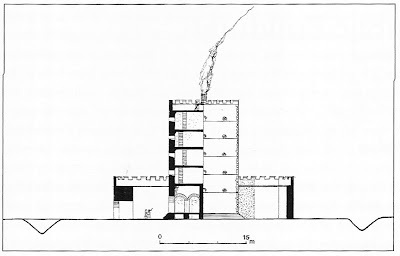 For a reference I am using the above illustration from Guy de la Bédeoyère's The Buildings of Roman Britain. This was a 3rd century tower situated at Scarborough. All examples of such towers appear to have had a walled courtyard and outer ditch. The appearance of the tower itself isn't ground-breaking, but Dahm's interpretation of its signal fires is a fresh concept. 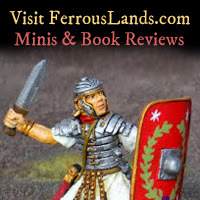 I will also be illustrating some Roman military tactics for Ross Cowan's article.